We have achieved success through the sheer love for what we do. Our team is comprised of highly-trained craftsman whom take pride in every aspect of the job & breath-taking final result. We work closely with our clients throughout the entire process. From drafting a plan precisely to their vision, to shopping for the project materials with them. We operate entirely around their needs. 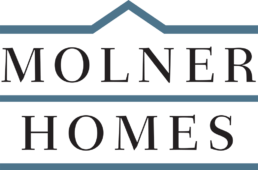 Molner Homes projects are both unique & distinct. Our in-house professionals perfect every detail & respect your home while doing it. Our goal is to build something that stands the test of time. We've been constructing unique homes for well over a decade. As we build our client's homes, our satisfied homeowners have built our reputation as the premier custom home builder in the region.